Love memory foam pillows and mattresses? 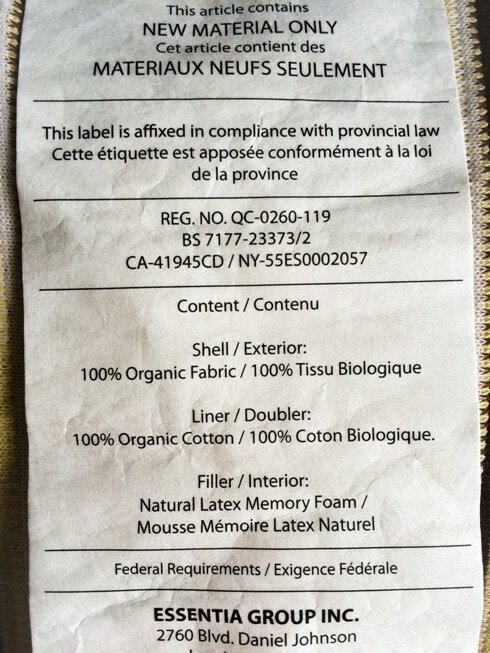 You might not like the chemical soup used to make those super supportive bedding items. 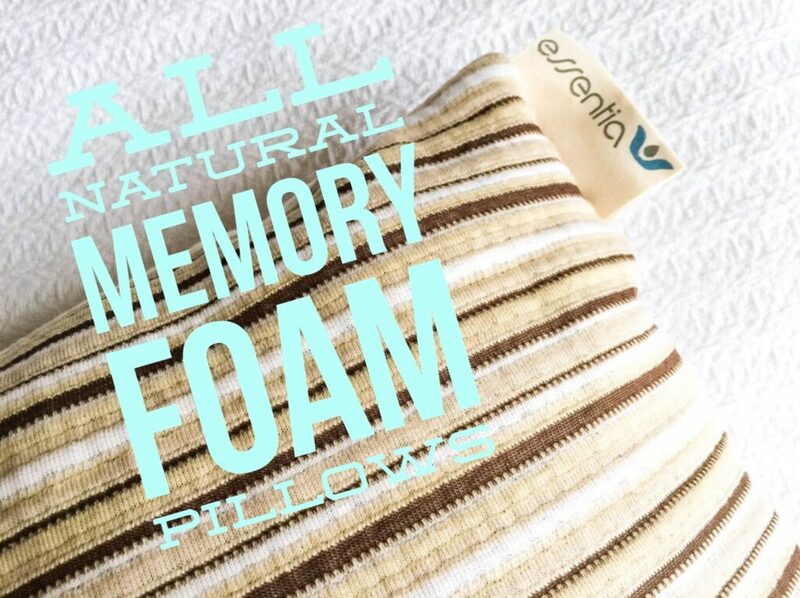 Why not ditch the toxins and sleep easy on an Essentia Natural Memory Foam pillow instead? Yes, Virginia, all-natural memory foam DOES exist! When you think of memory foam, well, you think of ‘foam,’ right? And usually foam is made from nasty chemicals (including flame retardants and many more synthetic ingredients…..), none of which you want 1/4 inch from your nose all night long. Here’s the thing. You can get the soft memory foam support from all natural ingredients. Seriously. Rubber tree sap can be turned into natural memory foam. So you’ve got the feel that you’re used to, without the nasty stuff. So, here’s the deal. I know how important a good night’s sleep is. Not just sleeping good. But sleeping in an environment that is non-toxic, so your body can heal itself properly, instead of having to detox your system from chemical exposures all night long. I talk all about it in my book, The Everything Guide to a Healthy Home. 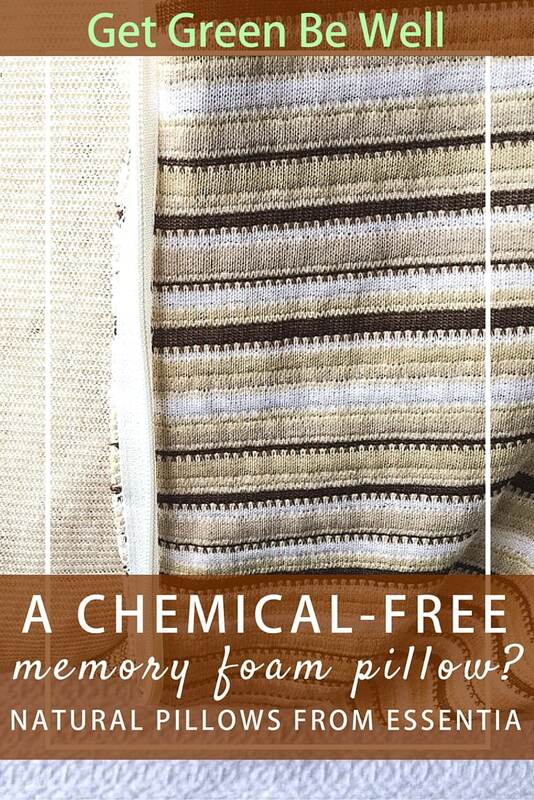 You might not think about chemical exposure from something like the softness of a pillow, but if chemicals are used to make any product, they can possibly outgas from that product. By outgassing, that means small bits are coming out into the air. For pillows, that’s just nasty since your nose is literally inches away from the pillow for hours on end. I still want a good night’s sleep, though, and the familiar feel and support from a traditional pillow. Essentia provides both. Essentia asked if I’d like to try out their Comfort pillow. Always trying to find the healthiest, most stylish and sane ways to live a happy life, I said yes. Good thing. 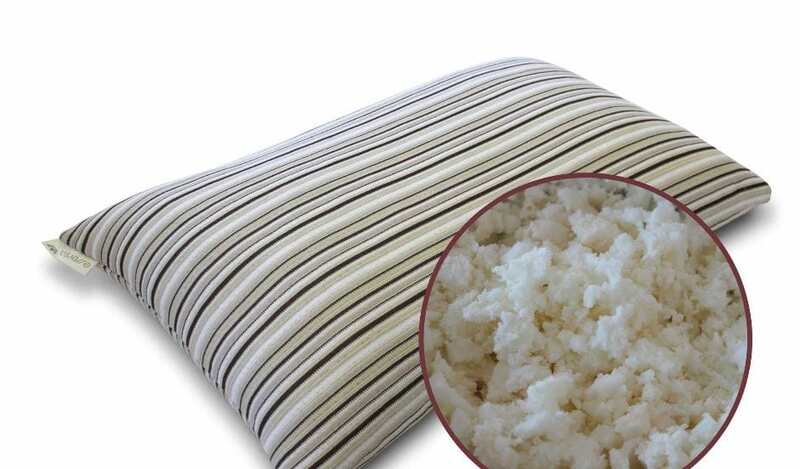 Inside the Comfort pillow, you’ll find shredded natural memory foam as well as natural latex. It’s a soft, flexible feel that can be bunched under your head and positioned just so and retain its shape without sinking. It’s called the ComfortMix. 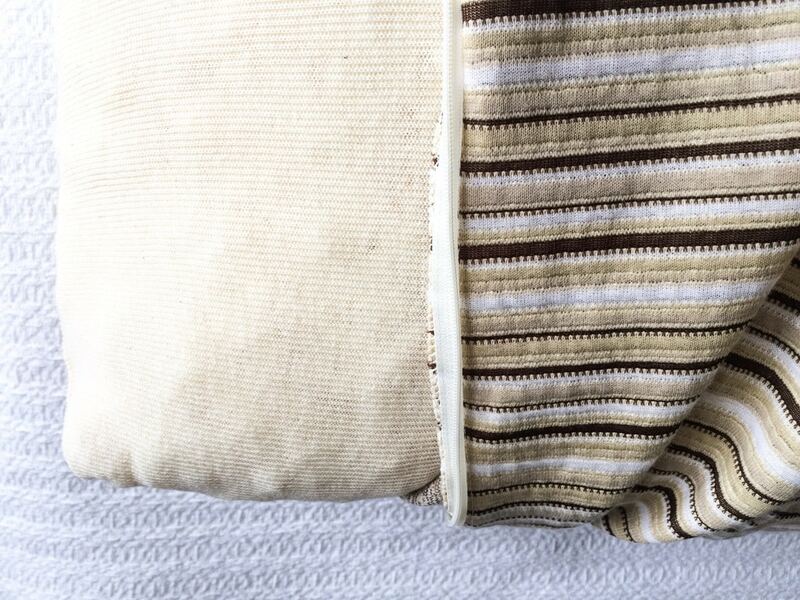 The stuffing is protected by a 100% organic cotton layer, which is then wrapped in a removable outer shell made of 100% unbleached organic cotton known as Zebrano fabric and exclusive to Essentia. BONUS REASON TO BUY NATURAL MEMORY FOAM: Dust mites are deterred from setting up shop in a dense foam bedding product, compared to looser layers. A natural memory foam-based pillow could be what you need to avoid indoor allergies brought on by dust mite exposure. This looks so comfy!! Didn’t even realize there was all natural memory foam!! Love it!